You received your certificate by email. Keep it within reach. Download the overall file (.p7b) indicated in the delivery mail and save it on your desktop. Warning: If you are using a X509 certificate (.cer) you will have to install manually intermediate certificates and root certificate. It is way faster to follow this new installation procedure. Select "Administrative Tool" in the launch menu. 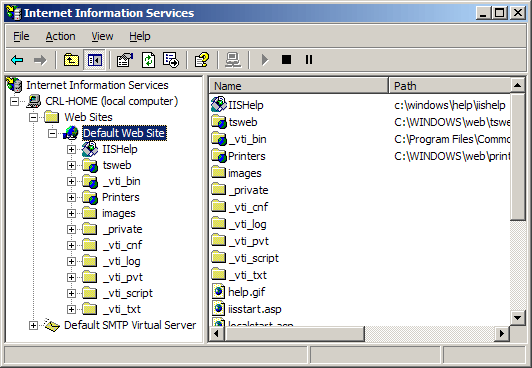 Launch "Internet Services Manager" (IIS)"
Go back on the website where you generated your certificate request (generaly the Default Web Site) and open the properties window. To do so, right click on the website or select Properties in the menu. Open the "Directory Security" tab. Click on "Server Certificate". The helper appears. 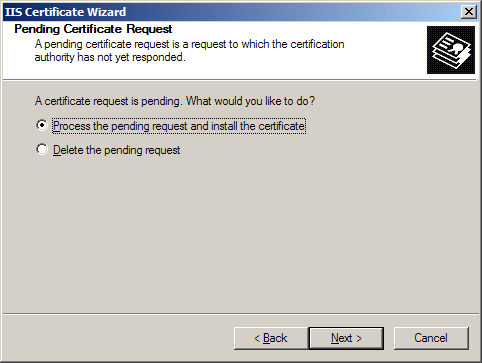 Select the option: "Process the Pending Request and Install the Certificate". Then click Next. Place the filter on *. * and select the file inside which you downloaded your certificate. Click Next. Select the SSL port your website should be using (443 by défault) and click Next. Read the summary displayed on the screen and make sure you indicated the right certificate and click Next. You get a confirmation. Read it and click Finish. That's it! Do not forget to activate the encypherment (in the Directory security tab find the Secured communications section and click on Modify... Then tick Request a secured channel). If not non-SSL access will remain possible. Check the access of your website's secured pages with IE 6 and Firefox. On the certificate status page (in your Certificates center) you'll see a 'Check the certificate' button. Click it ti test the installation of your certificate. If you are renewing your certificate, you probably have created a temporary website not to interrupt the functioning of the main website. 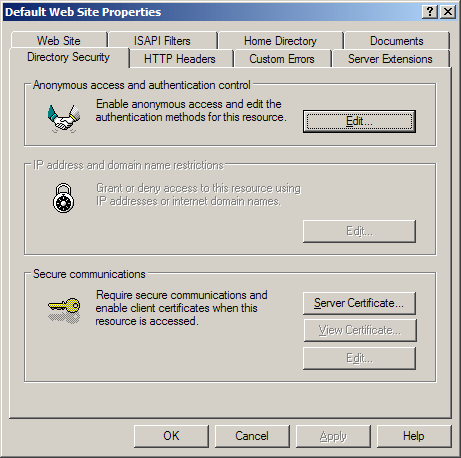 Renew a certificate with Microsoft IIS 5 or 6). In that case, follow the previous instructions to import the certificate on the temporary website. Open the properties window of the main website. To do so, right click or select Properties in the menu. Select the option "Replace the certificate" then click Next. In the dropdown menu select your new certificate (spot it with its expiration date). Click Next. Done! Your main site is now using the new certificate. You can impose a 128-bit encryption level even with 40-bit guaranteed certificate. To do so, in the 'Security' tab of the repertory, next to 'Secured communication' click 'Modify' and tick '128-bit channel'. Make sure our certificate and its private key have been correctly installed. To do so, launch the MMC of your Windows server. Your certificate may have been placed in "container user" instead of " local computer" (due to a window bug). You can troubleshoot with a local exportation and then a re-importation in the local computer.